Since 1993, the Pennsylvania Supreme Court’s decision in the J.H. France case has dictated that the continuous trigger rule be applied to determine what insurance policies are triggered for asbestos injury claims. Under J.H. France, coverage is provided by policies in effect from the time the claimant was first exposed to asbestos until injury manifests as mesothelioma. The J.H. France court’s decision was expressly based on the science behind mesothelioma, which indicates that mesothelioma is a continuous, progressive injury that begins at the time the lungs are exposed to asbestos particles. Because the J.H. France continuous trigger rule is strongly rooted in the science of mesothelioma exposure and injury, it has been limited to asbestos injury and toxic tort cases. In 2014, the Pennsylvania Supreme Court held that J.H. France is a limited exception to the manifestation rule, which applies to other personal injury and property damage claims. Pennsylvania Nat’l Mut. Cas. Ins. Co. v. St. John, 106 A.3d 1 (Pa. 2014). North River Insurance Company v. Mine Safety Appliances Company is a coverage dispute involving asbestos injury claims that the insurer argued are different from those at issue in J.H. France. The Mine Safety Appliances case involved asbestos related lung cancer and “short fiber chrysotile” asbestos, rather than mesothelioma and “long fiber amphibole” asbestos, which were at issue in J.H. France. The insurer argued that the science regarding exposure and injury from short fiber chrysotile asbestos is different from that of long fiber amphibole asbestos and that therefore, the court should not follow the J.H. France continuous trigger rule. The trial court rejected the insurer’s argument, granted the policyholder’s motion for partial summary judgment and applied the continuous trigger rule. The case proceeded to trial, where the policyholder prevailed and obtained a $10 million verdict against the insurer for coverage under the triggered policies. 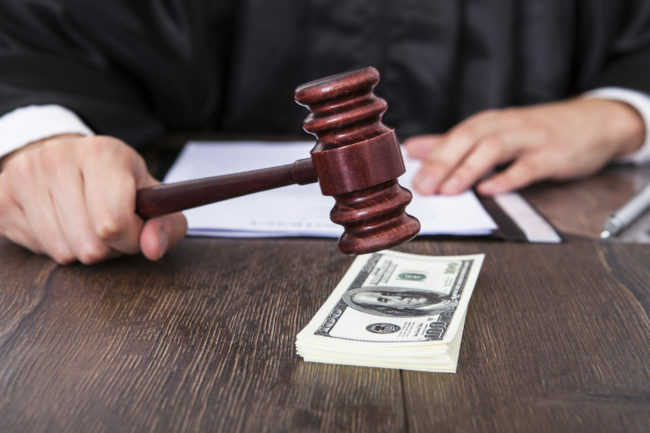 A bad faith bench trial followed, in which the court awarded $46.9 million made up of $30 million in punitive damages, approximately $10 million in attorneys’ fees and court costs and over $5 million in pre-judgment interest. The verdict is reported to be the largest bad faith verdict rendered in Pennsylvania. It is unlikely that we have heard the last of the Mine Safety Appliances case. The insurer presented a compelling argument as to why the J.H. France continuous trigger rule should not apply given the progress and differences in the science of asbestos injury over the past 25 years that were at the foundation for the J.H. France decision. The trial court’s decision to apply the continuous trigger rule, without allowing a jury to consider these facts, and its reliance on the reasonable expectations doctrine to do so, present issues worthy of further consideration by the appellate court. In addition, the court’s finding that the insurer acted in bad faith is ripe for challenge on appeal. The insurer’s arguments were based on factual differences in the underpinnings of the J.H. France decision, which the Pennsylvania Supreme Court in St. John recognized has limited application due to the unique factual circumstances that existed in that case. In Pennsylvania, bad faith requires clear and convincing evidence that the insurer’s position lacked a reasonable basis and the insurer knew the position was unreasonable or acted with reckless disregard to its unreasonableness. The insurer’s actions do not seem to meet that standard. The Pennsylvania Supreme Court is poised to issue a ruling interpreting the Pennsylvania bad faith statute in the Rancosky v. Washington National Insurance case. The outcome of Rancosky may influence any appeal of the court’s decision in the Mine Safety Appliances case.